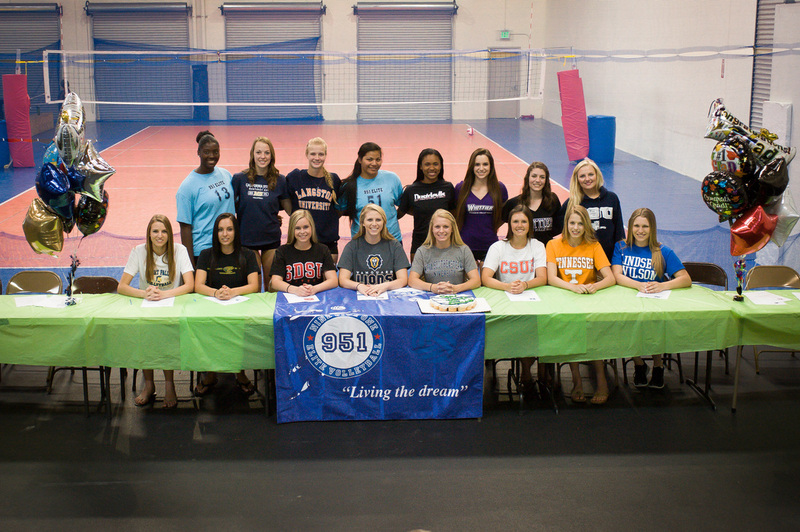 951 Elite Volleyball hosted a 2014 Senior Signing Day, where their senior year athletes, signed and committed to colleges and universities across the country. All 16 seniors from the class of 2014 were recruited to pursue collegiate volleyball and academics. Kelsey Bawcombe of Temecula Valley HS committed to University of Tennessee, Kaelyn Brock of La Quinta HS committed to Nova Southeastern University, Marissa Laster of Temecula Valley HS committed to Vanguard University, Katelyn Neilsen of Murrieta Valley HS committed to California State Univeristy Fullerton, Devyn Pritchard of Temescal Canyon HS, committed to San Diego State University, Sophia Riviere of Temecula Valley HS committed to Lindsey Wilson College, Kendra Burns of Great Oak HS committed to Grossmont College, Shannon Offerman of Paloma HS committed to University of Great Falls, Rayo Soyemi of Martin Luther King HS committed to University of California Merced, Vanessa Rogriguez of Lindfield Christian HS committed to Whittier College, McKenzie Rosendale of Temecula Valley HS committed to Whittier College, Dayanerrah Taoete of Heritage HS committed to Mt. San Jacinto College, Amber Tygart of Yucapia HS committed to California State University Monterey Bay, Megan Wiggins of Murrieta Valley HS committed to Jackson State University, Ashley Michalski of Temescal Canyon HS committed to Langston University, Caitlinn Williams of Temecula Valley HS committed to Texas A&M International University. 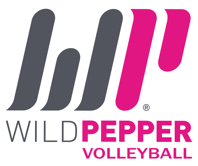 951 Elite Volleyball is one of Southern California’s premiere volleyball organizations and its training center is located in Southwestern Riverside County of Wildomar California.